I love this time of year. As the solstice approaches and the days grow longer the weather is usually warm and nature is in her verdant fullest. Thanks to the strong presence of the sun. The ancient Egyptians honored the sun, whom they thought of as Aman, on the summer solstice. Apparently in Egypt this time of year the Nile begins to rise and flood it’s banks replenishing the soil; an incredibly significant occurrence for a desert culture. The Egyptian solstice celebration involved re-enactment of the battle between Horus, the son of Isis and Osiris and his uncle Set. Set, having recently killed his brother Osiris was cast as the bad guy. Horus ends up winning the battle and becoming king of the land but Set isn’t annihilated so continues to hang around being evil and causing havoc. I find it interesting that so many of the Egyptian gods have animal attributes. 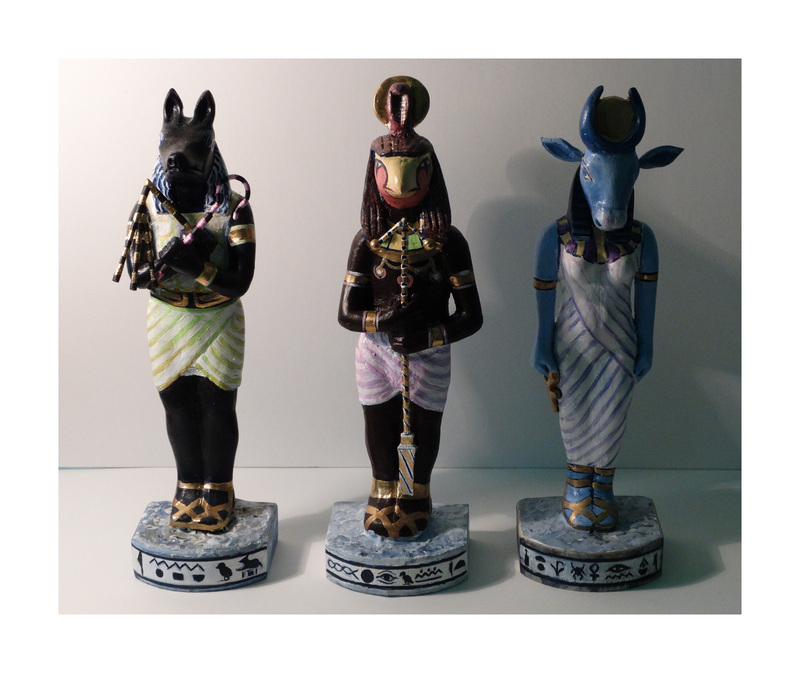 For instance, Osiris is associated with the bull symbolizing virility and strength, Isis’ fertility is symbolized in association with the cow, Horus, the falcon symbolizes royalty and strength. And that’s just to name three. There was cat, baboon, Ibis, jackal and many other animals honored as well. Sometimes the gods were thought to have reincarnated into their animal attributes leading the Egyptians to revere animals in a way we, being so thoroughly anthropomorphic, probably can never understand. I also found it interesting that Osiris, after being reconstructed and brought back to life by Isis was thought to be annually resurrected with the rise of the Nile and it’s life-giving replenishing of the soil. I guess for an agronomist culture the idea of resurrection of life doesn’t take too much imagination. It seems to me unfortunate that any religious tradition would claim exclusive rights to such a concept.